New prayer halls on the ground and first floors are complete and ready to accommodate the millions who now make the journey of a lifetime to the Holy City of Makkah, and a sophisticated broadcasting network has been installed to cope with the additional requirements. Indeed, the safety and comfort of the Hajjis has become a major concern for the authorities, necessitated by their sheer volume in recent years. The newly laid floor tiles were made of specially developed heat-resistant marble, and to further ensure the comfort of worshippers the whole structure is cooled by one of the world’s largest air-conditioning units. To facilitate the movement of worshippers to the newly developed roof area of the Holy Mosque during the busiest seasons, additional escalators have been incorporated alongside a number of fixed stairways in the northern and southern sides of the building. Moreover, in order to reduce the build-up of traffic around the Holy Mosque, the development project has involved the construction of a new tunnel for vehicles in the vicinity of Alsouk Alsagir. 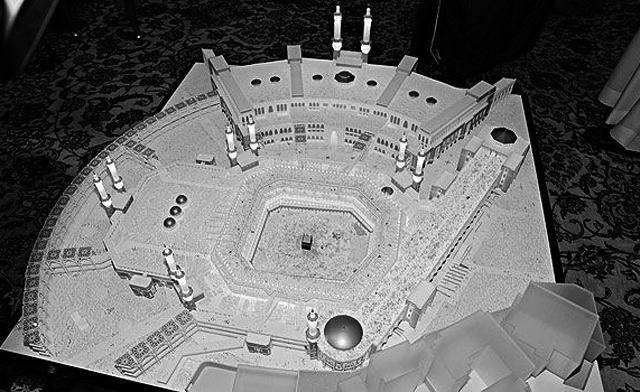 Pedestrian routes and tunnels have also been carefully planned and laid out to ensure the safety of the worshippers.